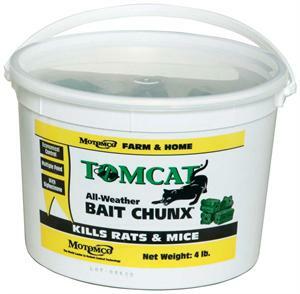 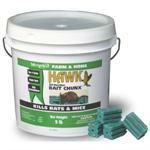 Tomcat Rodent Bait Chunx control rats and mice. 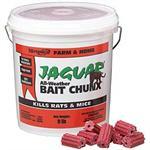 It is manufactured with food grade ingredients and enhancers for a bait so palatable that rats and mice find it irresistible. 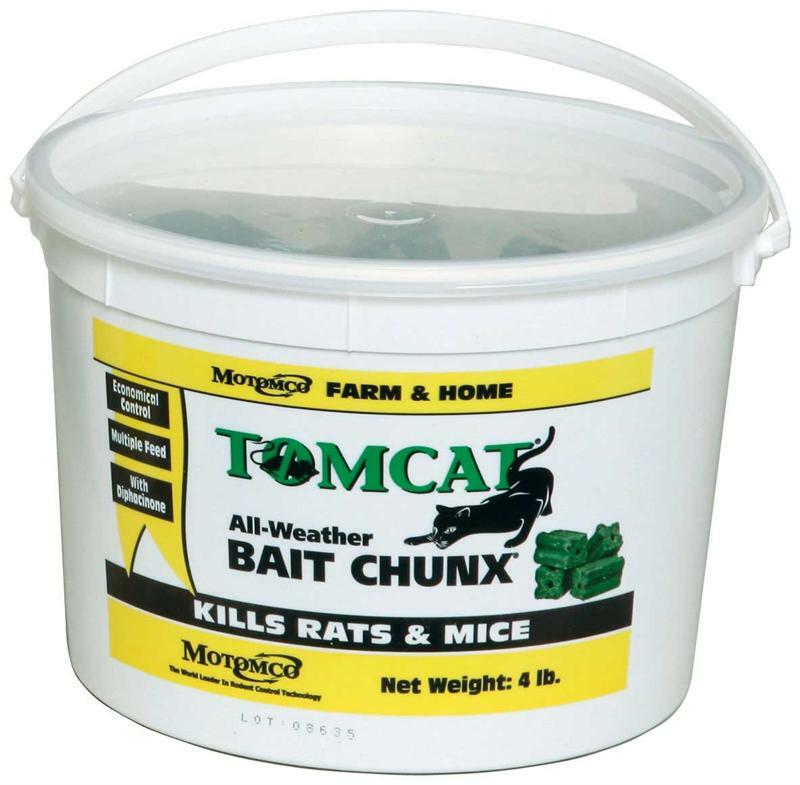 Tomcat Rodent Bait Chunx is a multiple-feed anticoagulant, and new AGRID3 to control rats and mice in organic production.